We have a heated indoor pool here at our dive shop. Student can purchase personal gear $169.00 or rent from us for $75.00 during training. 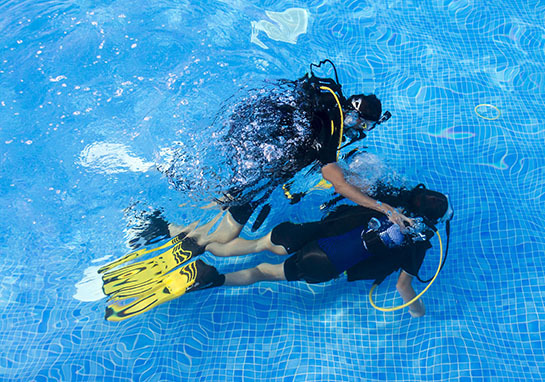 If you would like to "Try Scuba" before a class? Let us know and we can schedule something. "We would like the opportunity to show you that it is not a scary as you may think. a non judgmental space and comfortable surroundings." Crazy schedule?? Call and talk to Kelly... She will work with you. Vacation plans? Call us and see what we can arrange for you. It's possible to do the academics on your computer at home and then meet with us to learn the skills in our on-site pool before going out to Lake Pleasant to finish your certification. We will do our best to work with your schedule. We teach all levels of scuba diving in a low key, stress free environment. 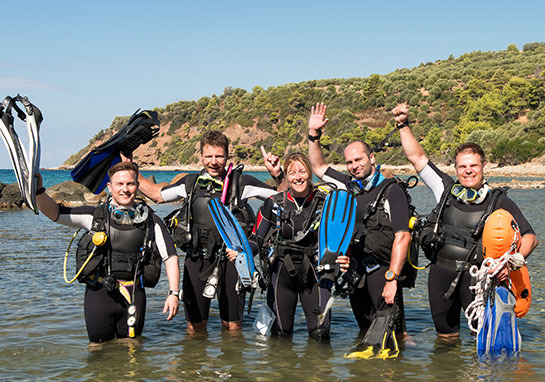 If you are a new diver that wants to get some additional training to improve your underwater skills or maybe you want to be a scuba bum in your next career….We can help you with that!! We have been creating memorable scuba diving experiences in Arizona for almost twenty years! 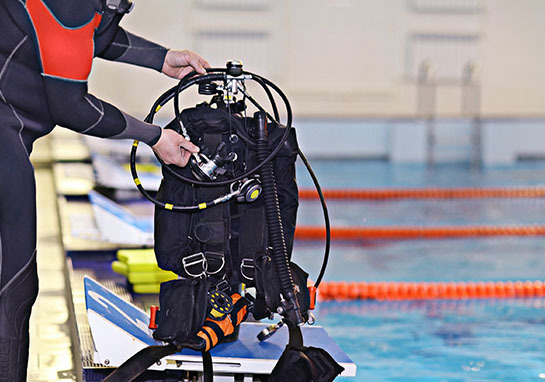 Come experience our customized approach to diver education. We are excited about diving and want to share our love of the underwater world with you. Come dive with us!! 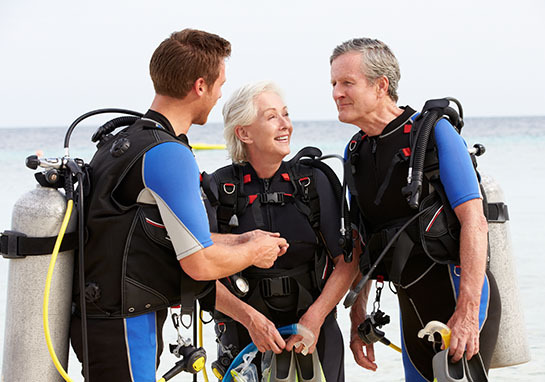 We are a family friendly dive center. We teach Open Water (beginner) Scuba Divers as well as Professional ( Divemaster & Instructor) level courses and everything in between.We want to be your Arizona Scuba Diving Center.